Our 4 Man Jousting game offers plenty of entertainment for both players and spectators alike. 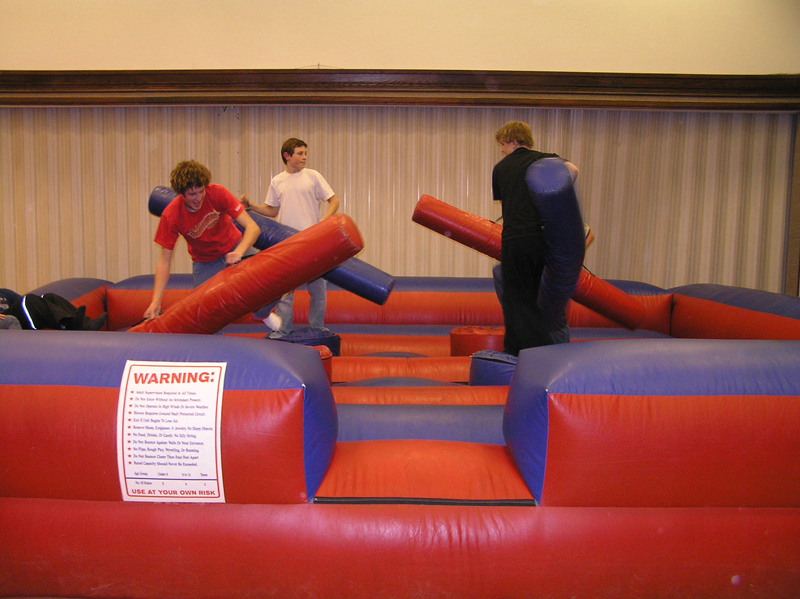 Up to 4 players can challenge one another in the arena by climbing up on their own pedestal and using oversized jousting poles try to knock their opponents to the inflatable game floor. This game is great for large events as transition from spectator to player is fast and efficient.